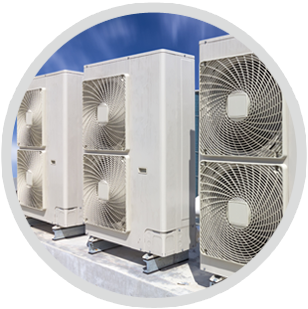 Crown Air Conditioning have extensive experience in designing and installing industry leading Air conditioning and ventilation systems for commercial and residential applications. We cover London and the surrounding counties. We pride ourselves on our high level of customer service in all aspects of our business, from air conditioning design, installation, service and maintenance to breakdown, repair and portable hire. Whether you need a residential, commercial or industrial application, we want you to be completely satisfied so that you’ll want to use us again and refer us to others. Through our high level of workmanship and installations of top quality Air conditioning and ventilation systems we have been able to grow our business to achieve a substantial client base, with the majority of our new business gained through recommendation. As a company we feel that it is very important to create a personal service and in doing so we concentrate very closely on customer service. 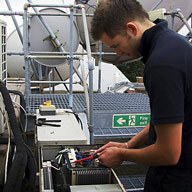 Our service and maintenance department work with each individual client to tailor packages to suit their needs. As an independent company we take great pride in our provision of unbiased advice to ensure our customers receive the best solution for their Air conditioning and ventilation requirements. Please call us on 01737 668310 or use the contact form below. At Crown Air Conditioning we provide a range of efficient planned maintenance contracts, designed to ensure your air conditioning system is free from faults and minimise running costs. Our team of service engineers operate throughout Chessington and Leatherhead, providing services for commercial properties, offices, retail premises and residential air conditioning systems. Air conditioners are complex pieces of equipment and failure to ensure a system is professionally serviced on a regular basis can result in a number of problems. Planned preventative maintenance will help to minimise the natural build-up of dust and bacteria which, if left unchecked, could result in poor performance and an unpleasant odour. This in turn will lead to higher running costs and in some cases, a complete break down of the system. Our air conditioner engineers are fully qualified and highly trained with the expertise to service all types of air conditioning and ventilation equipment. We work to checklists and schedules to ensure that each service is carried out thoroughly and no areas are overlooked. Our planned preventative maintenance contracts are available to all our customers, regardless of whether we installed your system or not. At Crown Air Conditioning we understand that our customers have different requirements and with this in mind, we’ve designed our planned preventative maintenance contracts to be as flexible as possible. Regular servicing is available with as many service appointments as you require or if you prefer, we’re also happy to service your system on an annual basis only. Our maintenance contracted clients are able to enjoy a range of benefits, including guaranteed emergency call out response times and reduced labour charges. If your air conditioning unit is inefficient and expensive to run, a cost-effective solution could be to upgrade to a new system. 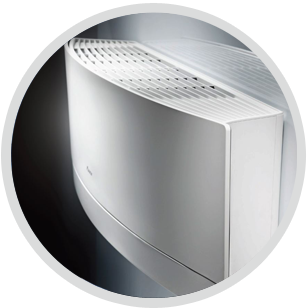 Our team of engineers are specialists in installing all types of air conditioning systems, from floor or wall-mounted systems, through to ducted. In addition, for your peace of mind we only use products made by reputable manufacturers including Mitsubishi Electric, Mitsubishi Heavy Industries, Daikin, Fujitsu and LG. If you are considering installing a new system, why not get in touch with us for advice on choosing the best product for your budget and requirements? We are an established company with an excellent reputation for the high quality of our products and services. If you would like to find out more about our air conditioning maintenance, repair and installation services, please contact our team by calling 01737 668310? What a great company! Well run, honest and reliable. Excellent rates for a first class service. 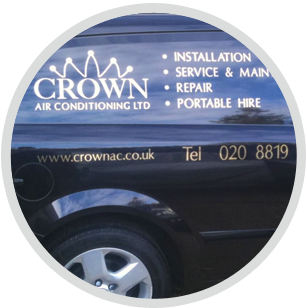 We have had many air con companies inthe past and Crown are by far the best, I cannot recommend them enough. Companies are often run from the top down, and it certainly shows with Crown. The unit was delivered beforehand, and the person who fitted it came on time and worked all morning, not even stopping for a cup of tea. Matt was in touch with me all the time… I would recommend Crown Air Conditioning to anybody.